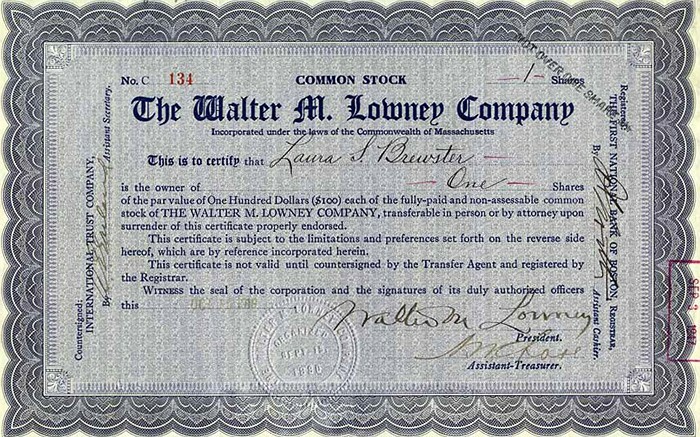 In 1903, Walter Lowney was living in Mansfield, MA. Over the years, the candy factory he built on Oakland Street in 1903 have attracted so many competent researchers that a newcomer to the scene has to pick his way carefully to avoid plagiarism. Percy W. Burrows (1983), Cynthia J. Webber (1986), Lucy Wells Graves (1990) and William W. Molla (1990) all authored meticulous studies that appeared in The Mansfield News or are filed in Mansfield Public Library. 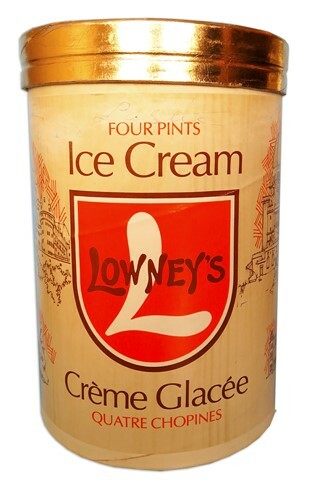 Thanks to them, most of us know that Lowney was behind much that was and is our town: North Common, The Tavern (a fine hotel that burned in 1948), the former National Bank building, houses on North Main Street, even (as Ms. Webber pointed out) our town manager form of government. But let's see if I can provide a new slant on some old information. Walter Lowney sponsored the Mansfield Boys Club and provided them with an exercise facility in which my Dad was volunteer gymnastic instructor. Men in those days carried pocket watches, and Lowney gave him a watch fob, black leather with silver letters MBC, which I still have. In the angle of Oakland and Maple streets there was a Lowney airfield. In 1925 a free-lance pilot landed on the grass runway and gave sightseeing rides for $1. Once I saw a blimp on the field. Neighboring communities often wished they had such a benefactor. The News in 1910 reported the comment of an envious Foxboro resident that, "Mansfield would be nothing if it wasn't for Lowney and everything he's given your town". Some of his plans went unrealized. Perce Burrows told me Lowney bought a large tract of land between Maple and Pratt streets and on paper laid out a village with avenues, houses and a church. None of this was built. Inevitably, myths grew up around Walter Lowney. It was commonly believed he was Italian. Perce thought his real name might be Lombardi. But Bill Molla searched the records in Lowney's birthplace of Sebec, Maine, and concluded he was of Yankee and Irish descent. 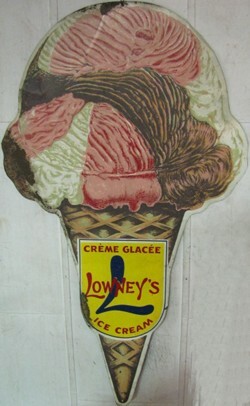 The Italian myth originated when Lowney imported people from Italy to work in his plant. Town reports prior to 1903 mention only one family of Italian origin living in Mansfield. By 1905 there were at least 12. 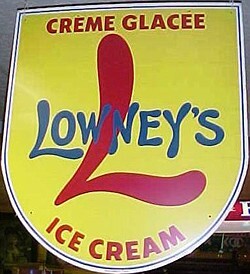 Probably not all worked at Lowney’s, but many did. 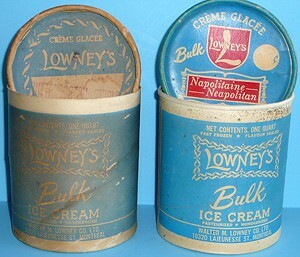 Go “On Line” and you’ll find an unbelievable assortment of Lowney memorabilia for sale: Containers for Lowney’s Hard Candy or Campfire Marshmallows; a 1919 magazine ad showing a World War I American soldier winning the hearts of two French kids with Lowney chocolates. 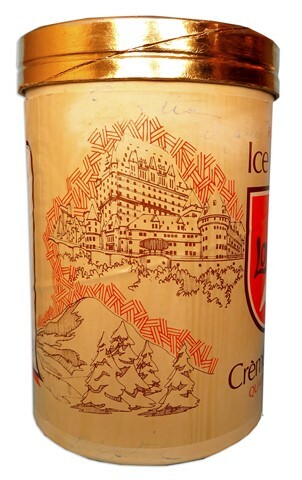 You can buy candy boxes (empty, of course) for Lowney’s Chocolate Cherry Blossoms and Cameo Chocolates, or a 1906 Lowney advertising postcard picturing an Indian chief. 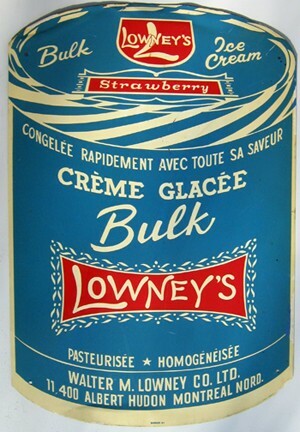 In 1907 Lowney even published a cook book. It was written by one of his employees, Maria Willet Howard. She’d been trained by Fanny Farmer, a culinary whiz who was the pre-TV Julia Child. The book contains one of the earliest recipes for chocolate brownies. Today, the old Walter Lowney factory keeps busy under a different name, ADM Cocoa Co. Their imposing six-story building still stands, after more than a century, as a memorial to a remarkably generous man who contributed much more than candy to this old town. 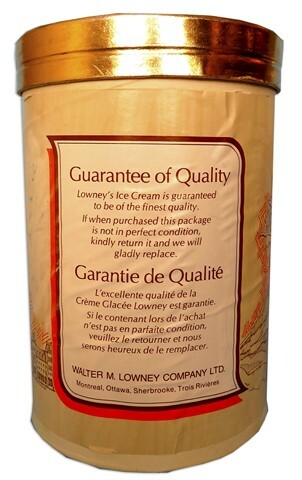 "Atlantic City, NJ - April 5, 1921 – Walter M. Lowney, widely known candy manufacturer and President of the Walter M. Lowney Company, died suddenly here at a hotel tonight of heart disease. He was 65 years old. The body will be taken to Boston. His home was in Mansfield, MA. It’s a common thought in this town, where for more than a century the hulking brick factory has bathed it in a pervasive scent of roasting chocolate. Some, like Drain, love it. Some don’t. But it is a constant fact of life, one that can influence real estate decisions and diets, and pretty much everyone thinks of it as the smell of home. So when locals learned late last month that ADM Cocoa will close the plant late this summer, there was a wave of nostalgia. 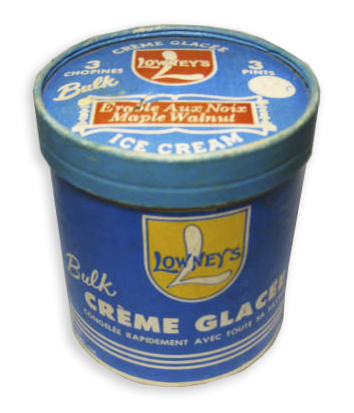 The factory has been churning out chocolate since 1903, when renowned chocolate manufacturer Walter Lowney moved the company from Boston, then a candy-making hub. 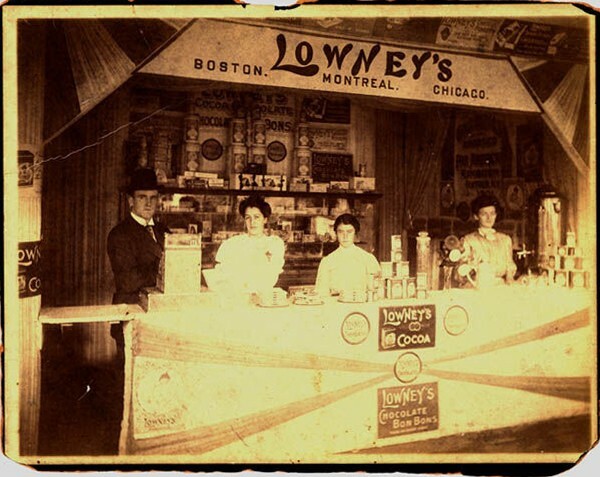 Founded in 1883, Lowney’s Chocolates was a thriving enterprise, best known for bonbons billed in turn-of-the-19th-century advertisements as the “most delicious, most famous of confections’’ and the “Gateway to the Good Graces of those who love the Good Things of Life." 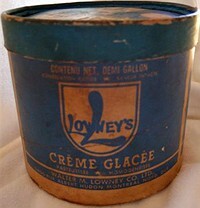 Lowney’s passed through a series of owners and came to be known as Merckens Chocolate. In recent years it has been run by ADM Cocoa, a division of agribusiness giant Archer Daniels Midland Co. which acquired the plant in 1997, is among the world’s largest cocoa and chocolate manufacturers and grinds about 15 percent of the world’s cocoa crops. The Mansfield plant, which is being shut as part of a consolidation at a new facility in Pennsylvania, employs 83 people. An unspecified number will move to the Pennsylvania factory, an industrial park facility that opened in 2008. Others will be given severance packages. 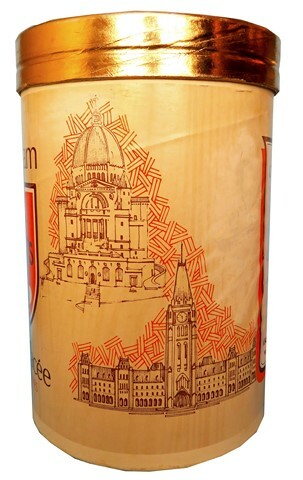 - Peter Schworm, 2010 Globe Newspaper Company. or the Pan American Exposition in Buffalo, New York. 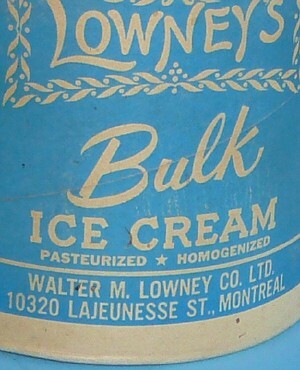 The Walter M. Lowney Company had factories in Boston, Massachusetts, Chicago, Illinois, and Montreal.